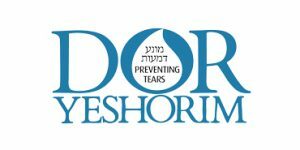 Dor Yeshorim and JScreen are both non-profit organizations dedicated to carrier screening, education, research, and the ultimate eradication of all recessive Jewish genetic diseases and conditions. Identifying your carrier status can affect not only your life but also the lives of generations to come. These two companies will help you take appropriate measures to ensure a better and healthier life for both you and your children. Our Dor Yeshorim VS JScreen comparison will help you determine which of these two companies can better meet your specific needs and expectations. For this comparison, we took into consideration the following factors: the scope of DNA testing, average turnaround times, implemented security measures, price-to-value ratio, and the overall experience. Dor Yeshorim is an organization launched in 1983 by Rabii Josef Ekstein. Since its inception, it has been relentless in its quest to eradicate recessive genetic diseases from the Jewish community. JScreen is an at-home not-for-profit education and carrier screening initiative for Jewish genetic diseases launched to provide its users with easy access to relevant information and testing options. I contacted dor yeshorim a week ago with a match and every day they have told me I will get the results the next day. This is ridiculous. While I am usually patient, they keep telling me to call back later and have not contacted me with results yet! A great service to get a peace of mind before marriage. Excellent organization! I only wish they tested for more genetic diseases. Great prices for a really essential testing to make sure I don't transfer something dangerous onto my children. Dor Yeshorim’s screening panels include only the deadliest and most debilitating Jewish genetic diseases. Its portfolio is split into 3 different panels, including the Standard Ashkenazi Panel (11 diseases), the Sephardi/Mizrahi Panel (18 diseases), and the Optional Panel (9 diseases). JScreen offers testing for more than 200 genetic diseases, including those not exclusive to the Jewish genetic population. It also tests all females for Fragile X Syndrome without any extra charges. Dor Yeshorim usually generates the final report in 3-4 months for mass and school screenings and within 2-3 weeks for private screenings. Expedited results can be requested for an additional fee. JScreen’s average turnaround time is between 3-4 weeks. Once your results are ready, Emory University will contact you with instructions on how to obtain them. Dor Yeshorim charges 275$ for regular testing, 200$ for school/mass screenings, and 450$ for emergency tests. These numbers are considerably below market price tags. JScreen charges 149$ for its test, which is a better offer on paper since it screens for much more genetic diseases. This is basically what our Dor Yeshorim Vs. JScreen comparison comes down to. Both companies offer high-quality screening panels with accurate and reliable results, professional consultations, top-tier processing facilities, highly trained teams of experts, budget-friendly prices, and high levels of identity and data security. One major difference between the two companies lies in the fact that JScreen follows the direct-to-customer model while Dor Yeshorim performs its screenings on numerous preset locations. This maybe makes JScreen’s testing process a bit more comfortable for users since it can be done from the privacy of their homes.